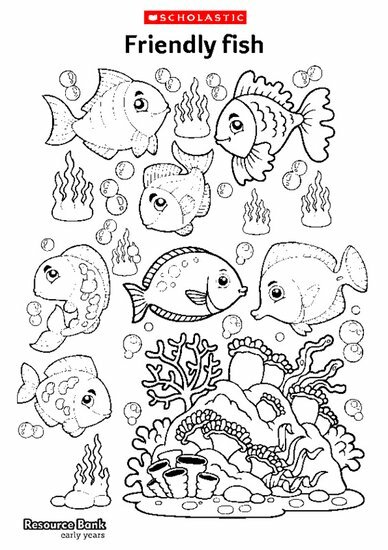 Colour in these fish and use them to create beautiful displays in your setting. They’re perfect for an ‘under-the-sea’ theme. You could cut them out, attach paperclips and use a magnet tied to a rod to ‘fish’ them up from the pond.